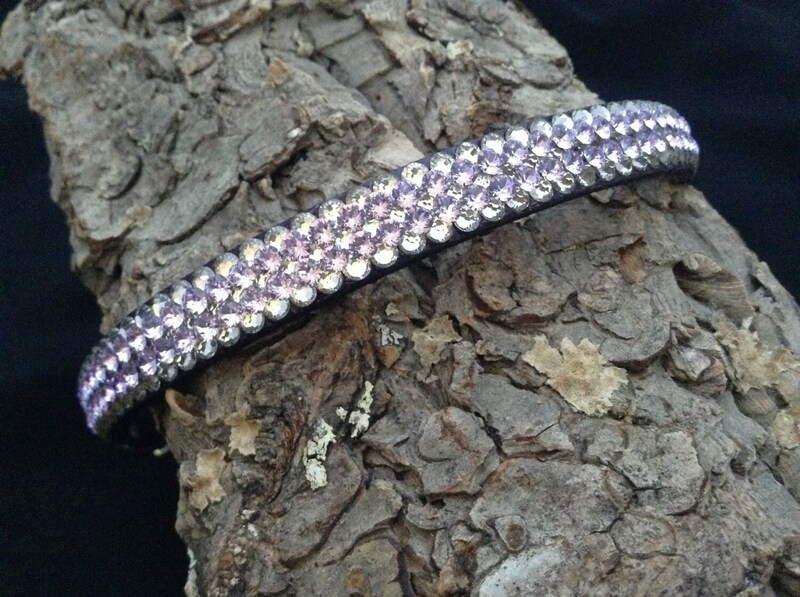 Standard Pole & Buckle 12-14" collar length, 5/8"-3/4" wide, iced with more than +330 brilliant Swarovski Crystal gems! 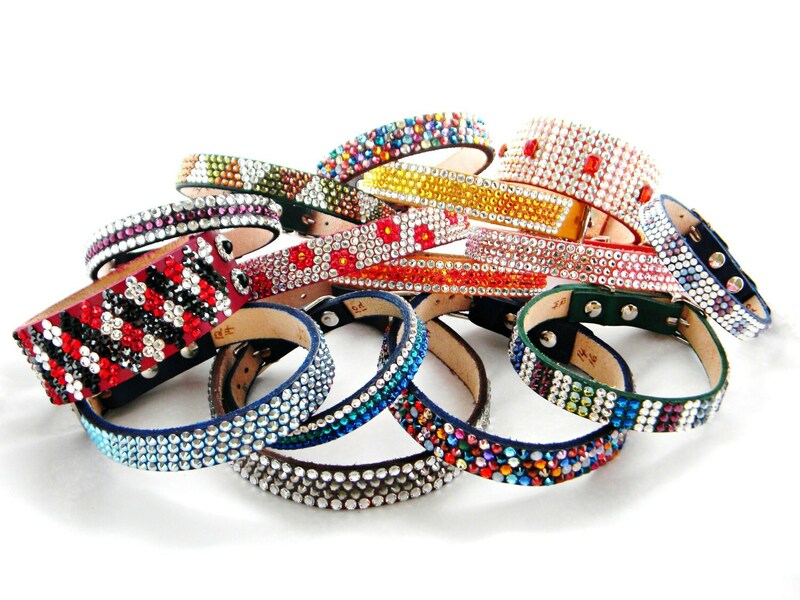 YES.... We double it up for 3D SUPER Bling! 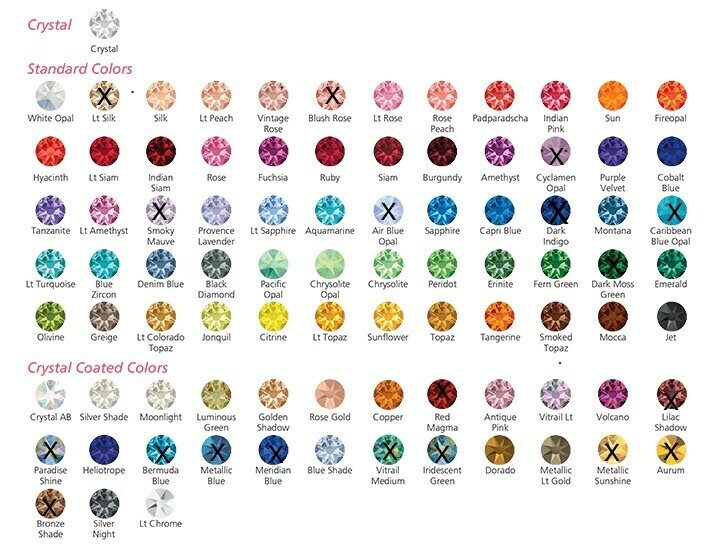 Choose from 13 Crystal Ice Cap Toppings ....please see our listing menu bar....contact us if you'd like a photo of any of these gorgeous Swarovski crystal icing colors! 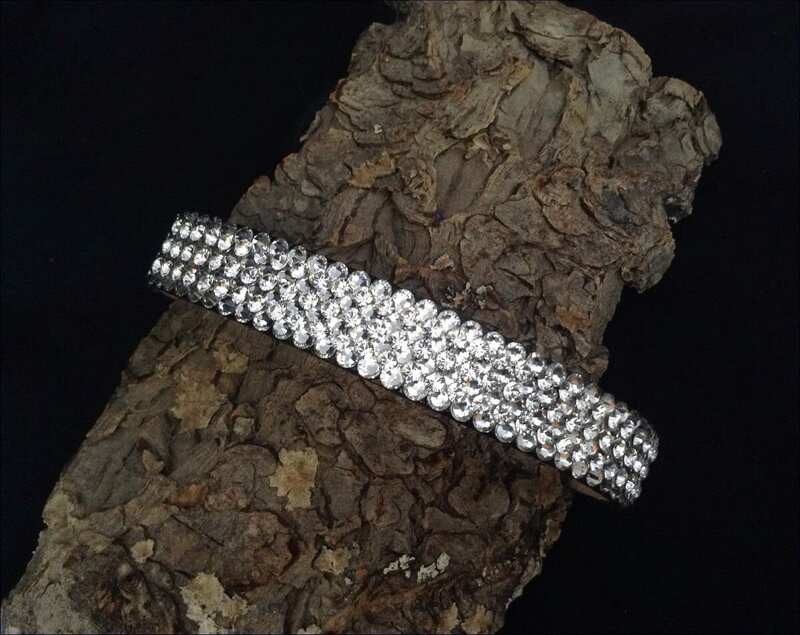 Base Crystal layer is Clear gemstones ...then we add your icing Crystals on top! Need a different collar SIZE? Of course we can! Contact us! 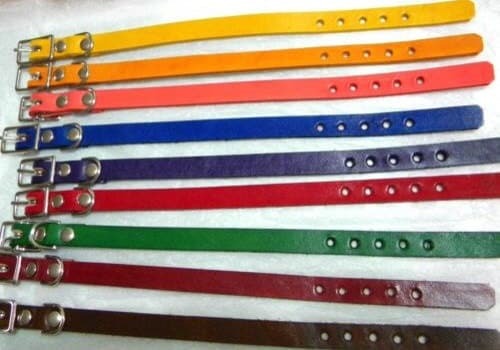 ~Available in 11 beautiful leather color choices.....ALL IN-STOCK! We do custom special orders, creating extra long and extra wide collars! Returns are not accepted, so measure your pet correctly!